Home Uncategories Sony QX Smart Lens offers powerful disruptive product while HTC struggle. Sony QX Smart Lens offers powerful disruptive product while HTC struggle. HTC Earning in Aug 2013 dropped 47% vs. last year. Sony launching it's new QX Smart Lens offering a very new way of killing the Digital Camera business via a smart add on to "any" smartphone with NFC. The two stories witness the cut-throat-competition in the world of technologies. Not too long ago I recall I was selling my HTC Mobile Phone in the second market to swap to the new HTC Android phone. It was exciting for me to purchase HTC product back then when HTC was in it's strong days. All of a sudden came Samsung and other brands and HTC has fallen behind from these competitors. I couldn't recall what "unique" product HTC has offered since the first Android phone because, well, they have not offered any unique product at all. In the same period, Samsung took the Android phone market with overwhelming speed in launching so many different sized phones within which the unique & successful Galaxy Note with S-Pen functions and very powerful marketing campaigns that built the brand. 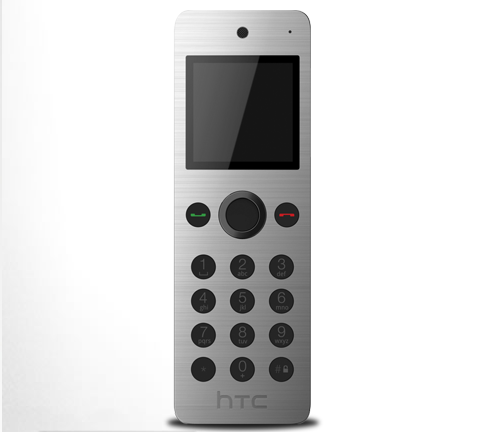 As far as I can recall HTC's products has been ordinary phone with not an unique feature I can recall. In light of such disappointing result of 47% drop of business, HTC's next product the "HTC One Max" offers not many unique features but a 6" screen size again. HTC has fallen into the typical trap of ever increasing hardware capacity but lacking innovation. It's sad but not surprise to see yet another once-strong brand fallen from the sky. 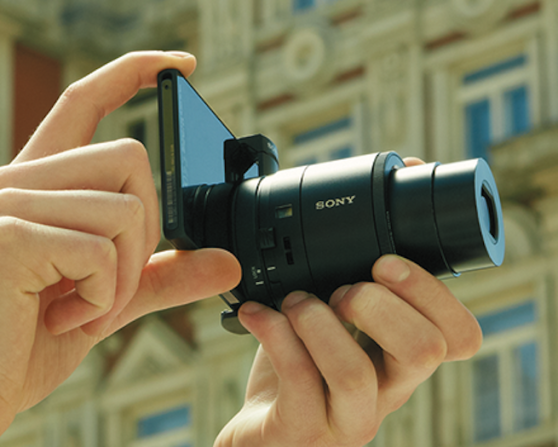 Sony is now offering disrupting technology to move to a new Smartphone as Camera business. On the other hand, the second news about Sony's product of QX Smart Lens offers a new interesting episode of disruptive technologies. While our memory is still very fresh about Kodak being taken over by the digital camera era, the digital camera itself is being taken over by Smartphone already. It seems Sony is trying to take the first mover advantage in this battle. Cost advantage. The expensive LCD and Body parties is cut away. If Sony wants to cut price (which is unlikely) it can. Flexibility. The convenience by detaching the lens and the control provide tremendous flexibility of taking photos from never dreamt of angles and positions. I believe that there will be somewhat slower response in capturing photo due to the NFC remote control. However the benefit of such flexibility far outweigh the down side of the slower response as an average consumer photographer. Synergy between products. One can safely bet that Sony will use all their might to make the Sony Smartphone and Smart Lens a natural couple. This will help Sony not only take over other digital camera business but also strength it's smartphone business. Smartphone taking over digital camera is a know fact. Most of us already are aware of this. However, the problem with phone is the lacking of a good lens. Smart Lens erase such disadvantage with not too bulky solution. Software power. 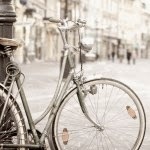 With the powerful computing power from the Smartphone, we can be expecting more creativity apps that enable photographers to take interesting and unique "multi-media" content beyond just taking photo from new angle. I think it's a very good product strategies. And it seems Sony is at the position to do so due to it's strong digital camera business while HTC cannot even if they come up with the same strategic thinking. It is simply because HTC does not have the camera business. 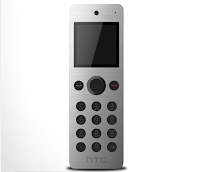 To be fair, HTC does have a "remote camera" kind of new product, which is called "HTC Mini+". However, it's really bluetooth remote control with camera taking ability. It does not resolve the lacking of a good lens in smartphone and the product will be a low price add on. And it's much easier to be copied by other company. The sustainable uniqueness is not as high and it's unlike likely a "killer" of digital camera. Having said so, there are two critical success factors beyond a good new product: the ability to move quickly to constantly beat the market and the building of the brand. Samsung has been successful in both of these market. HTC seems not so special on both factors. Sony now has the first mover advantage to merge (or kill) the digital camera and smartphone market with its Smart Lens and Smartphone strategy. With its strong brand it seems Sony will enjoy a unique product strategy before other catch up.